Wonder No More! Here Is Leo’S True Agenda Revealed! Ambitious Leo natives are more often than not comfortable in their skin. They aim high and are by no means willing to leave their aims unattained. Their leadership style sometimes borders on authoritative, and yet, the brave Lions are very kind, really, ready to protect those who need it.  Leo’s generous heart helps them meet the highest expectations that people may have of them. However, Lions expect everyone to mirror the attitude. They also know quite well how much they do for people around and can’t help wishing that someone (or better, everyone) would openly appreciate the lengths they have gone and lavish them with praise and respect.